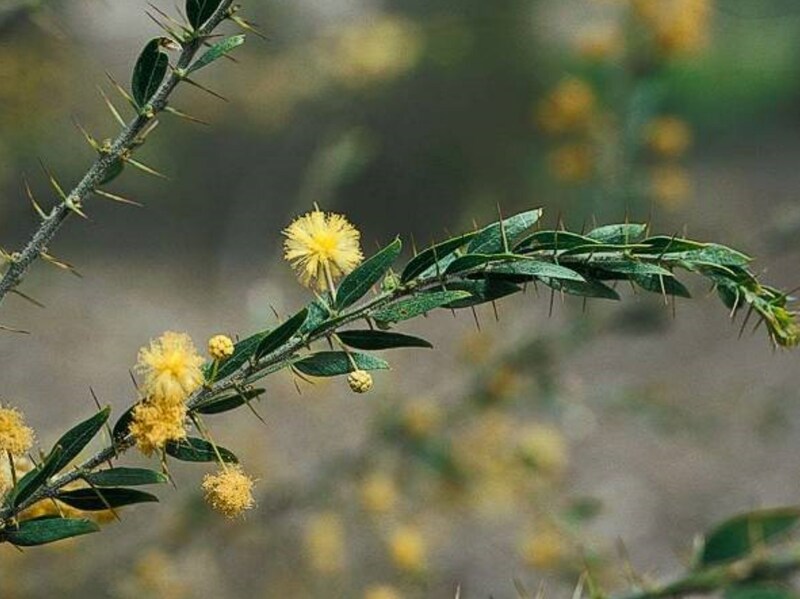 Acacia paradoxa (kangaroothorn) is a shrub (family Fabaceae) with yellow flowers and spiny branches found in the coastal ranges of California. It is native to Southeastern Australia. It favors woodland habitats. It is pollinated by beetles, wasps, bees and other insects. Its seeds are dispersed via water, birds and human activities.